Soon after we arrived, Jürgen asked what I wanted to do first in Buenos Aires. “ATENEO ATENEO!” I squealed instantly, clapping my hands and making a mess in my pants. Then the squealing again. 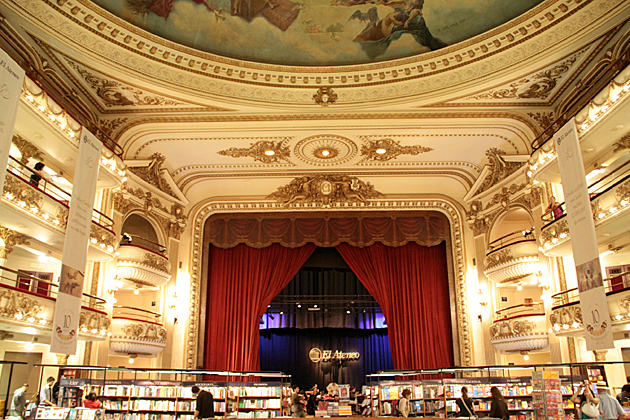 A guidebook photograph of the theater-turned-bookstore had lodged itself in my heart, and I was determined to visit as soon as possible. First, let’s admire that name. 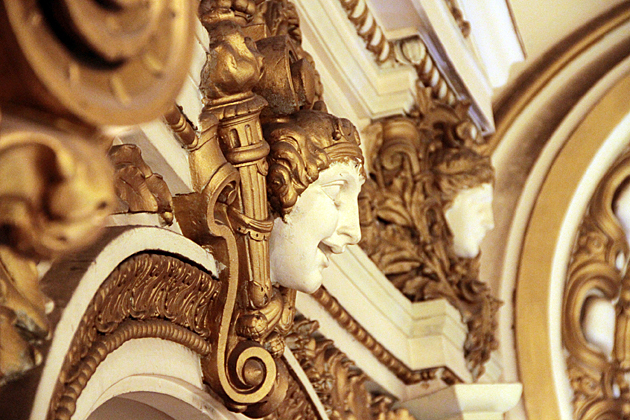 There’s no pretense of modesty in christening your theater the Grand Splendid. 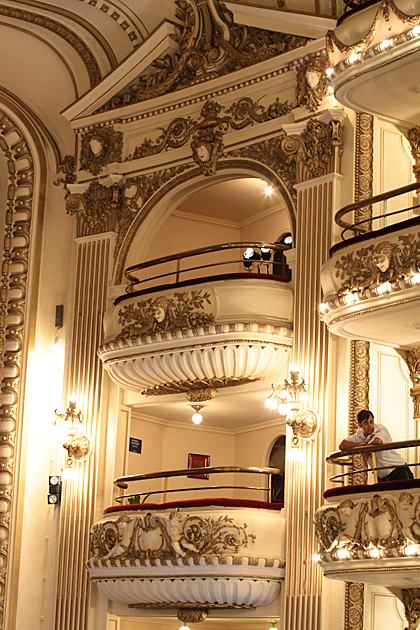 Built in 1919 by an Italian architect in the eclectic style, the theater entertained Buenos Aires for a decade with top-tier tango concerts, before it was converted into a popular cinema. 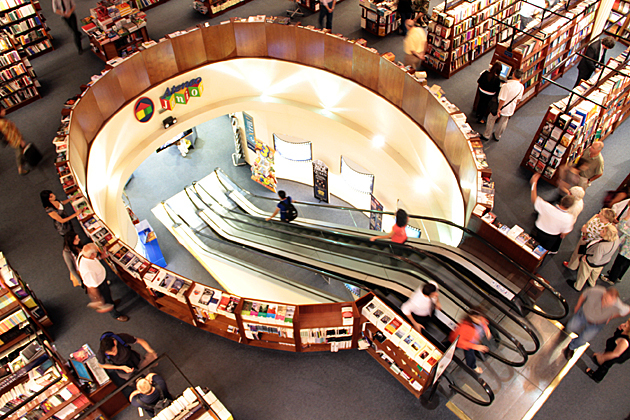 In 2000, the building was leased by a publishing house and found new life as a bookstore. 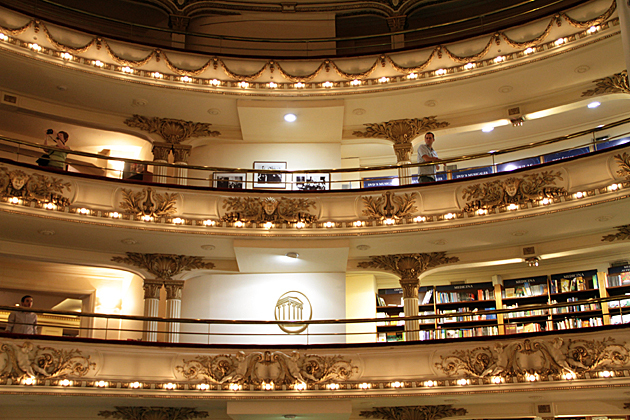 The conversion from theater to bookshop has proved nothing short of magnificent. 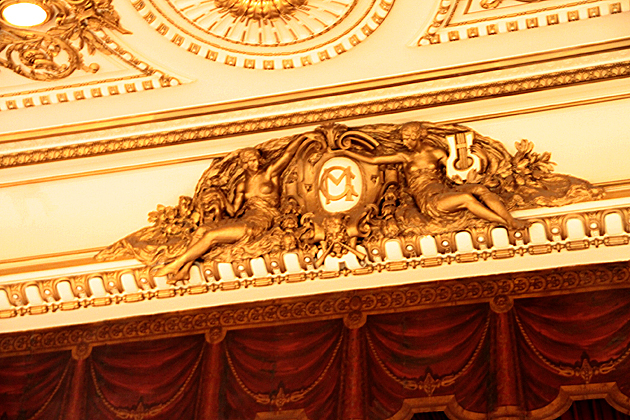 The painted ceiling, detailed balconies, and stage are all intact. The private boxes are now small reading rooms. 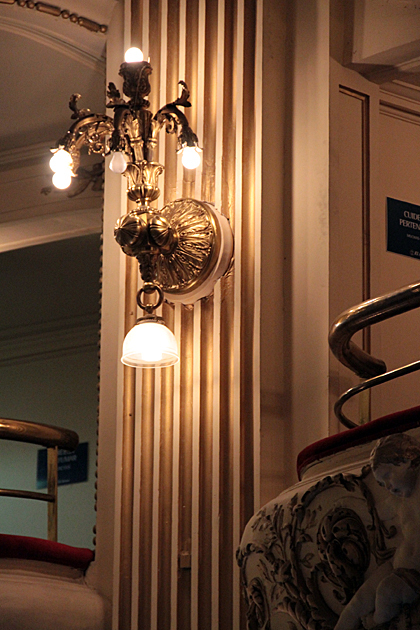 The stage is a café, where you can sit and peruse the books you’re considering buying. And though it occupies three floors, there’s not an overwhelming selection. 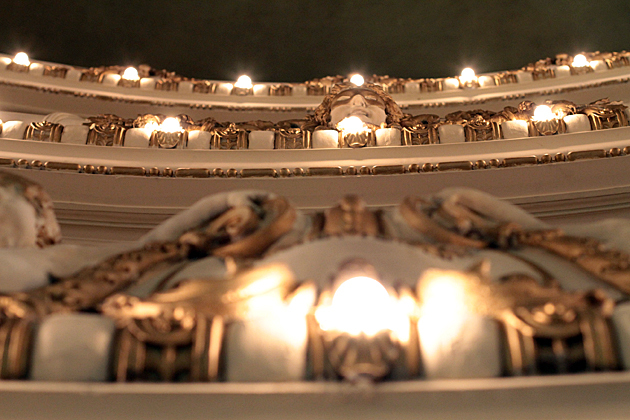 The shelves fit perfectly around the theater’s original shape, and comfortable chairs are scattered throughout. 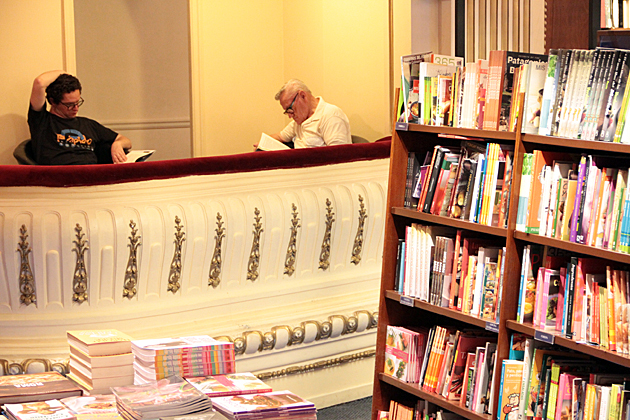 The Ateneo Grand Splendid is a bookstore in which to spend a leisurely couple hours. Choose a couple books and get cozy in a theater box. 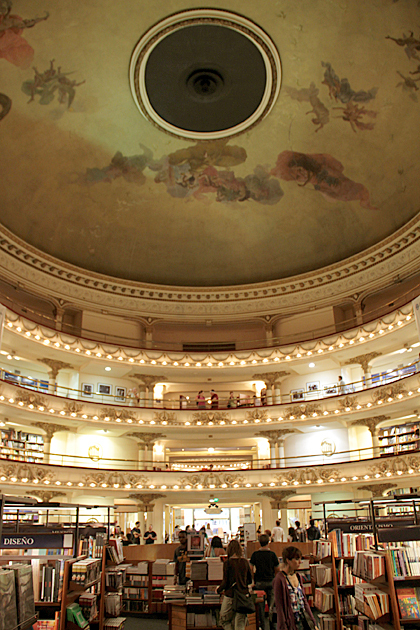 And if you get weary of reading, just look around; there’s plenty to feast your eyes on. This sounds like my kind of place. It’s beautiful! Plus, I’m such an English nerd…I love books. I must go here someday! Hi I am “argentina” Ateneo is one of the most beautiful places here to visit. If you come to my country please learn a few spanish words. Look out with the Taxis at the airport and most important don’t carry too much Cash. Best regards and Thanks for the comments! 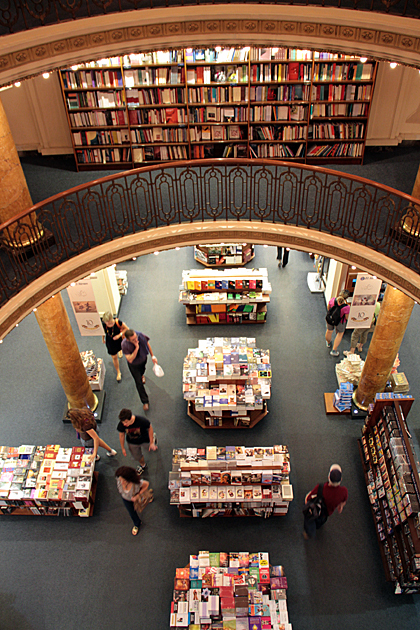 i luv this bookstore!! spent quite some time browsing. the cafe in the back is great place to relax, have an espresso and read. must go back. must go back. 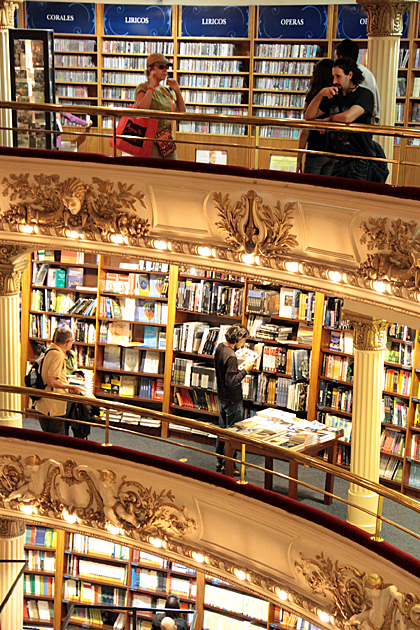 What a fantastic idea to turn a theatre into a book store. It’s such a beautiful building. Please share more about how you communicate with people where you travel. Do you speak several languages? How do they receive Americans? Do you feel safe there? We will def. go back there. I want to look at this German / Buenos Aires Architecture book. Janice – we both speak English, German and Spanish. You will find more people here speaking English than for example in Valencia, Spain. Everyone so far we have met have been super friendly. 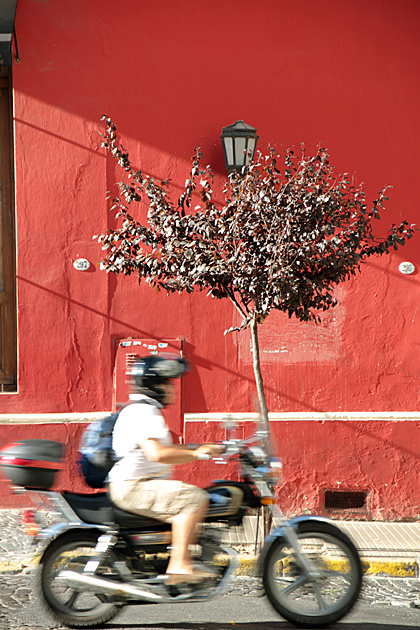 They were some moments I didn’t feel the safest, mostly because I had my camera with me at night in La Boca. But in general I would say I’m not feeling in danger. But people get mugged here all the time. So travelling with an other person is not a bad idea. San Telmo and Palermo I never felt unsafe. I bought dozens of art books there. 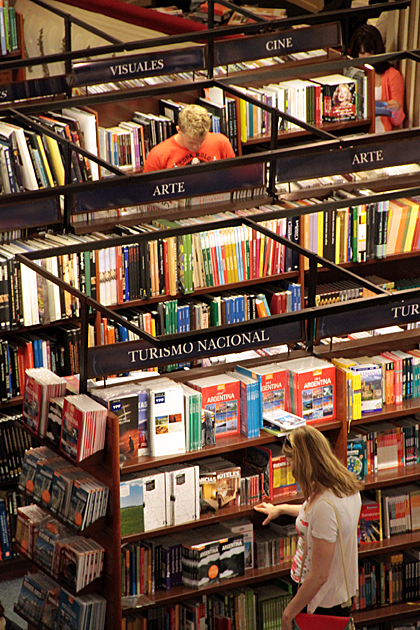 It was difficult to travel with them… ;<) But the bookstore it's really great, and it deserves a visit when you go to Buenos Aires. 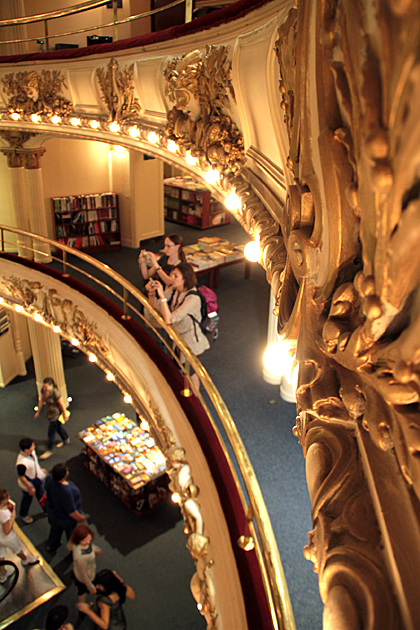 It will be a world holiday of book – Feria Internacional del Libro de Buenos Aires! I will be present in Antología Sensual, “El rostro secreto de Eros”, publisher Parnassus, patria de artistas. Unfortunately, I will not be there present personaly..:( Saludos desde Belgrado, Serbia. Stunning. I must go there. Finally heading there today, I don’t know what took so long. 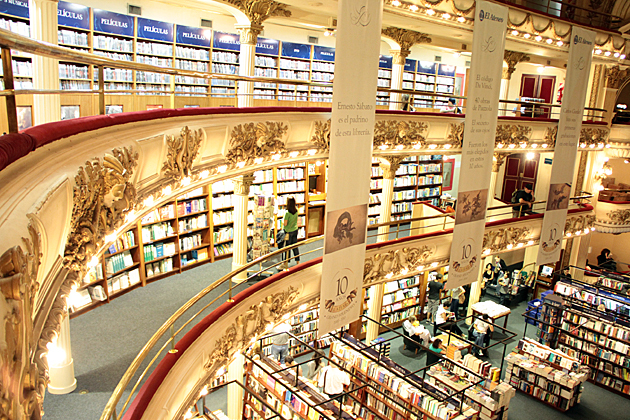 oh my gosh, i am hyperventilating just looking at the gorgeous bookstore. I’d have thought I’d died and gone to heaven if I got to go there!!!! did visit many of the places you enjoyed and recommended, including the wonderful Ateneo. publishing on paper! Your collected columns are better than guide books! viene! Alles Gute und Liebe im neuen Jahr! Happy trails!